According to World Bank rankings of Doing Business India still lags behind and stands on Rank 156 when it comes to starting a business and Rank 103 when it comes to resolving Insolvency. To mitigate these issues the government established the tribunals namely NCLT and DRT to deal with such cases in a speedy manner. Ministry of Corporate Affairs has issued three notifications dated 01 June 2016 for setting up of National Company Law Tribunal (NCLT) and National Company Law Appellate Tribunal (NCLAT). Now, in continuation of Constitution of NCLT and NCLAT, MCA has again come up with notifications notified NCLT Rules and NCLAT Rules on 21st July, 2016 providing inter alia procedure and manner for filing petition, application or appeal. In this article we have discussed about the procedures of filing a case before NCLT and the required documents. Any Company that wants to proceed against its debtors can approach NCLT for Winding Up, Strike Off or Liquidation to recover their dues. 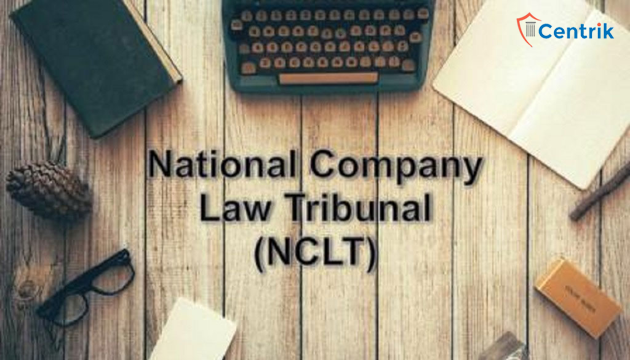 The document to be filed before NCLT shall be in English and if in any other language, it shall be accompanied with copy of Translation in English. It shall be duly paginated, indexed and stitched together in paper book form. Every petition, application, appeal or document shall be filed in Triplicate. All the documents filed shall be accompanied by an index in triplicate containing their details and the amount of fee paid thereon. Copy of petition, application or appeal shall also be filed to the opposite party. True Copy of Resolution for authorization to sign, verify and institute on behalf of the company shall also be enclosed. Every petition, application or appeal shall be filed in Form No. NCLT.1 along with the attachment of Notice of admission in Form NCLT-2. Every petition or application shall be verified by an Affidavit in Form No. NCLT.6. Notice of Motion shall be filed in Form No. NCLT.3. Where any petition or application is required to be advertised, it shall be advertised in Form No. NCLT-3A in vernacular language and in English Newspaper. Advertisement if published shall also be placed on the website of the company, if any. Every Party may appear either in person or through authorized Representative, who shall make an appearance through filing Vakalatnama or Memorandum of Appearance in Form No. NCLT.12 representing the respective parties. No intern employed by Authorized Representative shall appear, access to the records or obtain copies of order, unless his name is entered in Register of intern maintained by bench. Authorized Representative shall make application in Form NCLT.10 for registering his intern. Special Procedure has also been specified from Rule 66 to Rule 88 specifying the procedures or additional requirement for the applicant to be followed while filing application under various provisions of Companies Act, 2013. Additional requirements inter alia includes accompanying documents as mentioned in Annexure-B (which includes copy of Memorandum and Articles, copy of balance sheet, Resolution, Bank Draft for filing fees etc. ), content of application, Advertisement of application etc. An application for rectification of Final order shall be filed within Two years in Form No. NCLT.9. The certified copy of the order of NCLT shall be filed with ROC in Form NO. INC-28 along with the fees of Rs.500/- within 30 days. India needs to quickly resolve the issue of bad debts and for that matter per se, these authorities have to take the responsibility of disposing these cases at the earliest possible and the corporate debt restructuring mechanism must be also rendered to sick companies in order to revive them. In my opinion bad debts slow down the progress of the economy and hinders its expansion, the business sector and government together need to find a solution to overcome this lacunae. The business entities can figure out a solution to counter bad debts in advance even before establishing any business relations and save itself from long running litigation procedures. But once a company faces trouble in recovering their bad debts, the authorities should take enough responsibility of speedy disposal so that these companies can be reinstated. what is the scope & manner of services provided by you ? There may be many options, maybe the company is already under insolvency or company is claiming insolvency just to avoid any legal litigation. Please put your query at support@centrik.in or info@centrik.in, we would research and let you know.